Any one fitted a Tank Bag on their XR? On my previous Bike, (Kawasaki Versys) I used the SW Motech brand. I really liked the way the bag fitted onto a Tank Fuel Filler Ring and didn't even touch the tank so never scratched it. I don't want a big one like the BMW option. Anyone got any advice or Pictures? Yeah I have the SW Motech Daypack and the Sport tank bags. Only used the daypack so far as I need to move the top mount on the sport so it clears the bars. The tank shape on my Tuono V4 is different so will need to move it. I have the electric tank ring and just plug it into the power outlet. Thanks for this. Any photos of your set up? I don't at the moment, I could try and remember to take a picture of the Daypack on there at the weekend. Trying ti hi-jack this thread i've always liked baster/baglux bags but not sure how much they will hide the clocks. So if anyone has any experience they could tell me about, that would be great. I have the sw- motech city tank bag and I love it. 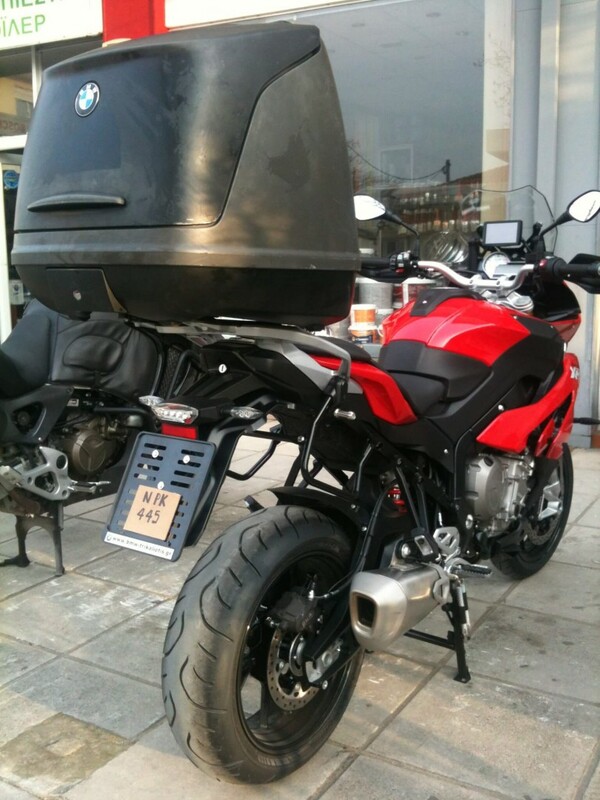 I have the BMW one and actually its not that big. Nice bit of kit. Thanks for the info. I am swaying towards to the Motech Range simply for the way it clips in place and sits on the Tank Ring and doesn't rub anywhere on the Tank. Cheers to all who passed on their feedback though. Check this out. Storage case from BMW C1 scooter.